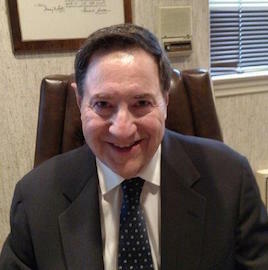 Clifford R. Wasserman is an attorney and Certified Public Accountant with over 35 years of experience in all areas of personal and corporate taxes, including estate planning. As part of his practice, Cliff deals with numerous clients in all phases of tax planning and tax related issues. Cliff has successfully represented his clients before the IRS, state and local government agencies. Cliff handles numerous clients in the investment field, including hedge fund managers and investment advisors. He specializes in high net worth individuals and handles an extremely wealthy family with over 20 related investment entities. Cliff also deals with numerous real estate clients. Cliff was the managing partner of Malakoff, Wasserman & Pecker, CPA, PC before the firm joined Shalik, Morris & Company, LLC in June, 2015. Cliff is a member of the New York State Society of CPAs, the AICPA and the American and New York Bar Associations.